Sir Paul McCartney, Ringo Starr, along with Yoko Ono Lennon and Olivia Harrison Come Together for World Premiere of The Beatles: Rock Band. It was also announced today that “All You Need Is Love,” will be released exclusively on Xbox 360©video game and entertainment system from Microsoft as a downloadable song for The Beatles: Rock Band through Xbox LIVE on September 9, 2009 with all Apple Corps Ltd, MTV Games and Microsoft proceeds benefitting Doctors Without Borders/M’decins Sans FrontiSres (MSF). Sir Paul McCartney and Ringo Starr, along with Yoko Ono Lennon and Olivia Harrison, personally selected the international emergency medical humanitarian organization created by doctors and journalists in France in 1971 as the beneficiary of the proceeds from the sales of “All You Need Is Love” for The Beatles: Rock Band. Doctors Without Borders provides aid in more than 60 countries to people whose survival is threatened by violence, neglect, or catastrophe, primarily due to armed conflict, epidemics, malnutrition, exclusion from health care, or natural disasters. The organization is committed to bringing quality medical care to people caught in crisis regardless of race, religion, or political affiliation. The Beatles: Rock Band story mode will take fans on an interactive, experiential journey through The Beatles career. 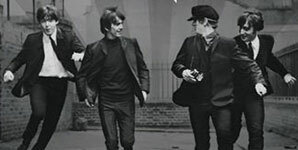 Along the way, venues, set lists, clothing and instruments will replicate the band’s rise to fame, represented in The Beatles’ touring period from 1963 to1966 and their studio days from 1966 to 1969. As previously announced, The Beatles: Rock Band will offer a new set of hardware replicas representing the instruments made famous by John, Paul, George and Ringo. Featured in the set are the Rickenbacker 325 and Gretsch Duo Jet guitars-hailed as two of the celebrated, signature instruments played by John Lennon and George Harrison throughout their careers. Also included is a H”fner bass controller-a large-scale replica of the bass famously used by Sir Paul McCartney. Rounding out the set is a Ringo Starr inspired, Ludwig-branded Rock Band 2 drum set with a classic pearl finish and vintage replica Beatles kick drum head. The Beatles: Rock Band will be available simultaneously worldwide in North America, Europe, Australia, New Zealand and other territories for the Xbox©360 video game and entertainment system from Microsoft, PLAYSTATION©3 computer entertainment system from Sony, and the WiiT home videogame console from Nintendo on September 9, 2009. The game will be compatible with all Rock BandT instrument controllers, as well as most Guitar Hero© and other third party music video game peripherals and microphone. The Beatles: Rock Band marks the first time that Apple Corps, along with EMI Music, Sony/ATV Music Publishing, Harrisongs Ltd and Startling Music Ltd has agreed to present The Beatles music in an interactive video game format. The Beatles: Rock Band will be published by MTV Games and developed by Harmonix, the world’s premier music video game company and creators of the best-selling Rock Band. Electronic Arts Inc.
(NASDAQ: ERTS) will serve as distribution partner for the game. In addition, Giles Martin, co-producer of The Beatles innovative LOVE album project, is providing his expertise and serving as Music Producer for this groundbreaking Beatles project.